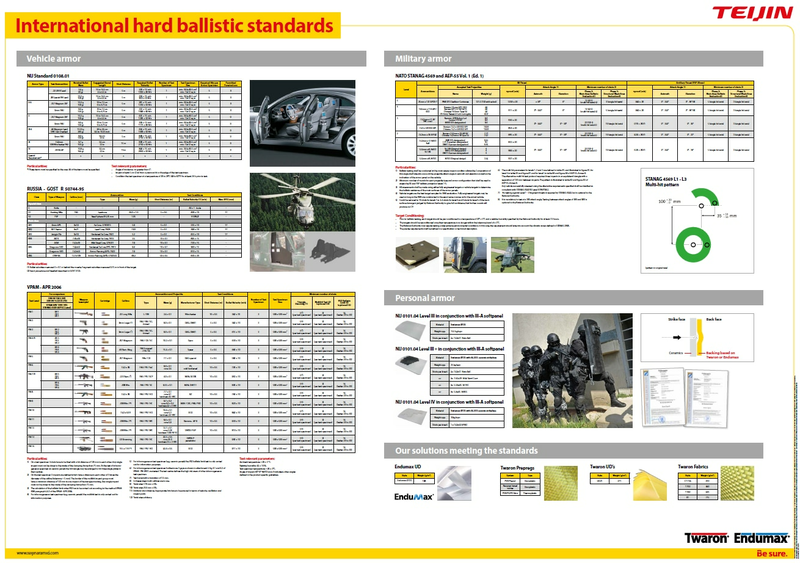 In line with Teijin Aramid’s customer-centric approach, our newly updated Ballistic Standards app and posters makes it easier than ever to find the specific data you require relating to international ballistic standards. 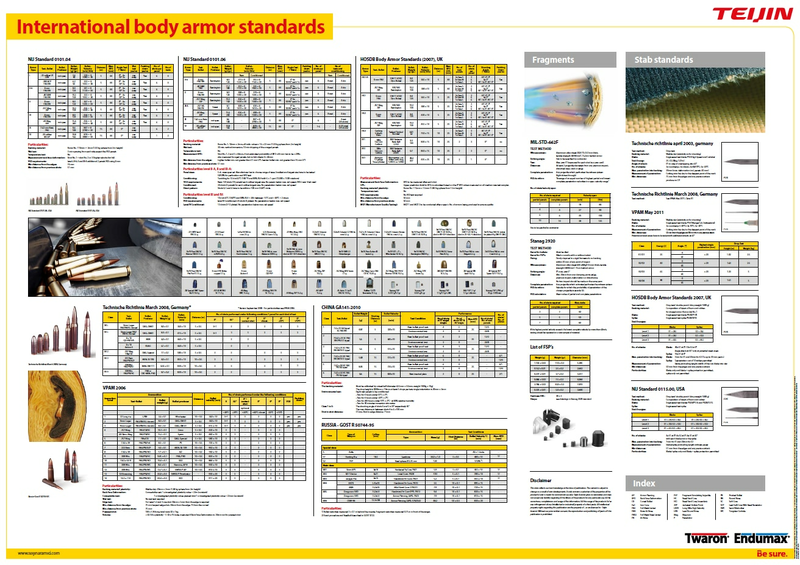 The app and posters provide you with the up-to-date figures of major international standards for different ballistic protection applications – including soft- and hard ballistic protection – and offer information on a number of Twaron® and Endumax® products. The app is available for free on Android and iOS platforms. Download the app or the poster via the buttons below. Ballistic standards are applied to measure the effectiveness of ballistic protective solutions in resisting penetration from bullets and fragments. It is precisely in these areas that Teijin’s materials can help achieve higher performance. The high-performance properties of our Twaron® and Endumax®) including high tenacity and energy-absorption capability, are enabling the rapid dispersion of the energy transmitted by an impacting projectile and therefore making these materials ideal for ballistic protection.